Do you represent a Pennsylvania Government Agency and wondering how you should archive all your web and social media content? Are you trying to determine what you need to do both from a legal and a technical point of view? Here’s a guide to the different Laws and processes you should follow. What Laws govern Records Management in Pennsylvania? Within the Commonwealth of Pennsylvania State, the Right to Know laws (Act 3 of 2008) Regulates Open Records Management, facilitates requests for government and social media records, and holds agencies compliant to its standards. The state standards are modelled on and similar to federal FOIA whilst Penn State Open Records Office implement and enforce the state’s right-to-know standards. 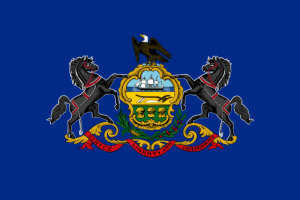 Government agencies in Pennsylvania are also subject to the Pennsylvania’s Sunshine Act, of which the fundamentals are simple: any time a government body agency holds a meeting in which deliberation of, or official business takes place, the meeting must be open to the public, as must records, minutes and notes of the meeting. Do Pennsylvania State Records Laws include Website and Social Media content? The Right-To-Know Law states that all records are presumed to be public record. “Record” is defined as information, regardless of physical form or characteristics, that documents a transaction or activity of an agency and that is created, received or retained pursuant to law or in connection with a transaction, business or activity of the agency. The term also includes a document, photograph, sound recording, or information stored or maintained electronically and a data-processed or image- processed document. Therefore content placed by agencies online or on social media are – presumed – to be open records, and the onus is on the agency to show otherwise. Any Commonwealth agency, local agency, judicial agency and legislative agency must abide by the Right to Know Laws and Sunshine Act. Agencies are to ensure that citizens are provided access to records to which they are entitled, with a burden on the Agency to establish why the record is not available, or face fines of up to $1,500 for denial of production and $500 per day if not complying with a court order to produce records. An agency should designate an official or employee to act as the open-records officer. An agency should also utilise a comprehensive records management and archiving system so as to have easily accessible, transparent and sufficient records, and avoid fines and other penalties. Records and websites must be maintained in their original format and produced in the form requested by the public: HTML, CSS, PDF etc (Section 507). Can I use a printout of my website as an official record? No; an agency must produce a “certified copy” of records, subject to Section 904, Right to Know Law. How can we transfer website archives made with PageFreezer to the Penn State Digital Archives? PageFreezer exports all data on request, in compliance with Pennsylvania Right to Know Laws, in the original file format including the required metadata. The data set can be transferred by FTP or other means to the Agency Archives. Penn State town using Social Media for Emergency Alerts.